The people in White Plains know that they can count on our team of attorneys to help them in their time of legal need. We've handled numerous injury accident cases, and have helped clients receive just damages for the hardships that have been thrust upon them. When it comes to lawsuits involving auto accidents and car crashes, our law firm can offer sound legal representation. We want to focus right now on collisions that are the result of people running red lights. These kinds of accidents are all the most tragic given how avoidable they are. The numbers don't lie. According to statistics from the Federal Highway Administration, roughly 2.5 million auto accidents occur in intersections every year. That's between 40 to 50 percent of all auto accidents that occur each year. Estimates are that 20 percent of all fatal collisions occur in intersections. Regarding red light crashes in particular, it's estimated that 165,000 collisions each year are the result of someone running a red light. Each year, this leads to around 700 to 800 fatalities. 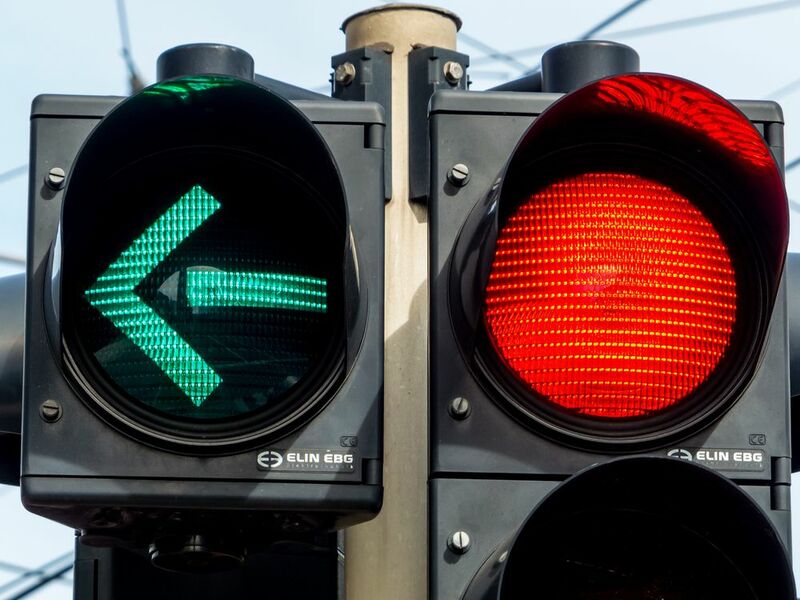 When people run red lights, they greatly increase the risk of deadly accidents with other vehicles as well as pedestrians or bicyclists who happen to be on the road. Running a red light can cause major t-bone collisions, which can be deadly if there's a strong impact to the driver's side or passenger's side of a vehicle. Pedestrians and bicyclists are especially vulnerable to harm in these kinds of accidents. In addition to the reasons listed above, many drivers run red lights because they are trying to beat a yellow light. This is seriously dangerous and should be avoided. The yellow light is a warning to slow down, not an invitation to speed up. Many drivers will press their luck, miss the yellow, and instead run the red light, causing severe injuries in the process. While you're on the road, be sure to practice a combination of common sense and common courtesy. Always slow down when you see a yellow light and approach an intersection. Avoid speeding up as you might accidentally strike a vehicle, a bicyclist, or a pedestrian. When you stop at a light, always come to a complete stop rather than a rolling stop, and keep your vehicle behind the double lines. When the light turns green, look both ways to ensure no oncoming traffic before proceeding. If you or a loved one was injured in an auto accident, be sure to contact our team of experienced personal injury attorneys. Our legal team will help you in your time of legal need, ensuring that we fight for you every step of the way.